Foundation for Indian Contemporary Art (FICA) along with Flow India hosted 'Art Detectives at Art Fair', a special guided programme that let kids have fun exploring the India Art Fair 2013. 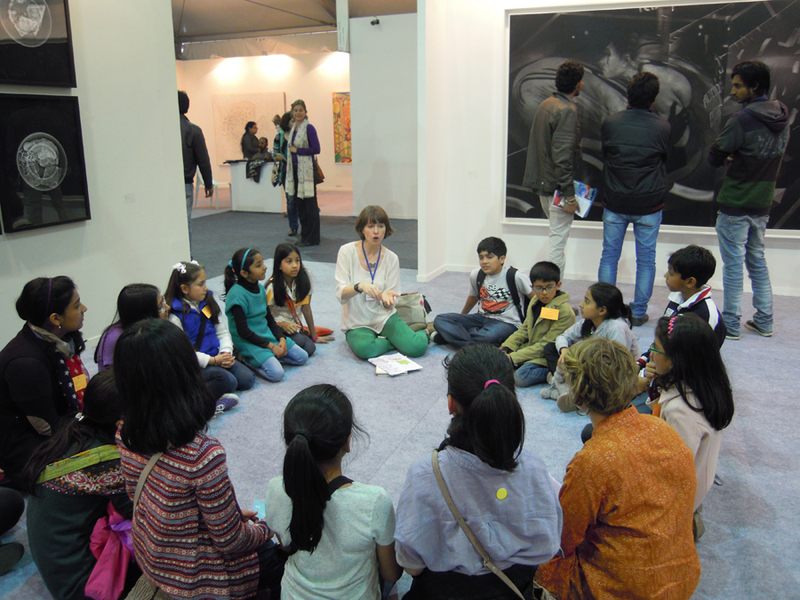 The 1 hour 30 min programme was designed to give kids a glimpse into the myriad wonders of contemporary art in India. The workshop-tour focused on key works by major artists as well as those of exciting up-and-coming artists. At 'Art Detectives at Art Fair' children learnt what makes artists' tick, and the huge range of materials and techniques that they have at their command. They looked at the big and the small, the colour-drenched and the monochromatic and learnt how to develop their own responses to art while enjoying the atmosphere of the India Art Fair 2013.